Often I hear from other people who are pursuing a career in teaching. Their questions are usually always the same. Are there days you regret your decision? 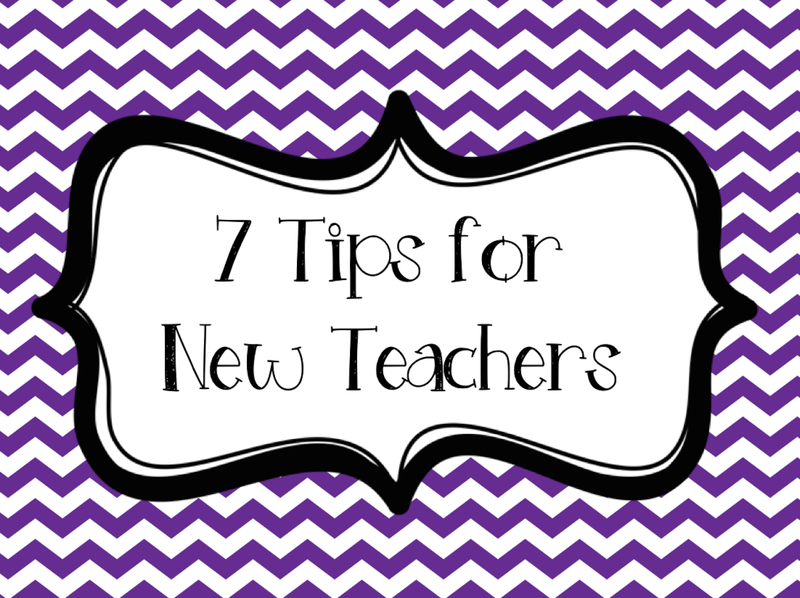 Do you have any tips for a new teacher? I love writing them back and sharing my story. I too, remember being that "person" who dreamed of becoming a teacher. I remember cruising through teacher forum boards (A to Z Teacher forum and Proteacher were my favs!) and looking at different teacher websites (this was before blogs were a hit). As far as me and my story, I think I knew I wanted to be a teacher since I was a child. I was the student who would beg my teachers for their old teacher manuals and play "school" at home forcing my younger brother to be my "student". I would set-up my desk in my room with all my school supplies laid out. When back to school time came around, I LOVED looking at the ads. New school supplies gave me a thrill (and still do to this day!) I forgot about my desire well into my early 20's. I had a great job as a hotel sales manager (which I loved!) and was very happy doing what I was doing. But I knew I wanted to go back to school and get my degree. It wasn't until one day I was in an office supply store and happened to walk down the teacher aisle that I knew that was what I wanted! haha Seeing all the teacher supplies brought back all the old feelings I had when I was a kid. I've never looked back. I finished my degree (while working full-time) in 1.5 years and landed my first teaching job after completing my student teaching. A teacher had retired in late November and I was hired on to take over his 5th grade class. That first year taught me more than I think a typical first year would have. Since I was taking over for a veteran teacher, that particular class' parents were all over me. I had one particular difficult one who would drag me into the principal's office multiple times that year. Thankfully I had a VERY supportive principal who backed me up. I learned many many things that year. Since then, I have taught 9 years of 5th and 1 year of 4th. I love it. Of course you have hard days - I won't lie. Society attitudes towards teachers, parents behavior, and the amount of work that is put on teachers nowadays is unreal. But if it's your passion you can overcome that. I don't regret a single day that I switched my career from hotel management to teaching. But if I could give some tips to the new teachers that I have learned over the years, this would be it. Document. Everything. If you are having issues with students (whether behavior or academically) you need documentation to back you up. It will make the meetings that you have to better assist the student much easier when you have concrete proof to match up with what you are witnessing in the class. You will hear this piece of advice from practically every single teacher. And it is so true. MAKE FRIENDS WITH THE OFFICE STAFF AND JANITORIAL STAFF. These two groups of people run the school. No. Really. They do! And you want them on your side. Don't look down your nose at them. Because when the time comes and you need them, you want to know they are there for you. Take time for you. Your first year of teaching (and second and third!) will feel like never-ending hours. And rightfully so. You will be planning, grading, communicating all year long. But make sure you take time for you. Mark on the calendar 3-4 nights AT LEAST that you will go home and not touch a single piece of work. It can wait. And you will get it done another day. Know when to ask for help. Get volunteers in your classroom to assist with changing up bulletin boards, running centers - whatever! Don't be afraid to have someone in your room. Find creative ways to get supplies for your classroom. Send out requests to parents - often they want to help out but don't know what you need. Have a wish list available to them all year long. Utilize websites such as Donor's Choose (if your a public school teacher) or Adopt a Classroom (they accept private school teachers). Share your needs with friends and family through social media. Ask companies - you never know what they can provide you. Hit up things such as Freecycle, eBay and Craigslist to find gently used items. (I have either bought or been given over 1500 books for my classroom library by using these resources at a fraction of the cost!) Don't be afraid to ask for discounts. Tell them you are a teacher. I have an awesome co-worker who hits up garage sales. She makes sure she tells them she's a teacher and more often than not, she gets many items for FREE or at a ridiculously discounted price. What would you add to my list of tips? Share below. 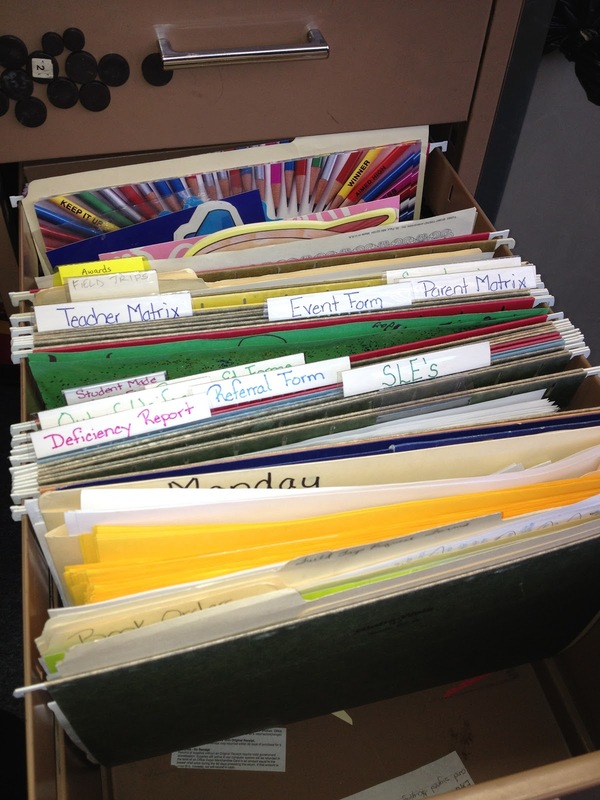 Print Your Hanging File Folder Labels and Sticky Notes! I know it's a bit early to be thinking about going back to school. After all, July has just begun. And I'll be honest, during the day I'm hanging out with my beautiful girls and taking them to parks, science centers, classes - you name it, I'm doing it with them. After all, I work very hard during the school year and don't get this special time with them. So I'm going to take advantage of it. HOWEVER, this does not mean I'm not thinking about school. Oh I am! The girls nap, and if I don't nap with them, I'm hanging out on Pinterest. Looking at handouts from the latest ISTE conference. Cruising teacher blogs to find the next great idea. And of course - thinking about my own classroom organization. I LOVE AN ORGANIZED CLASSROOM. Love it. Adore it. Need it. And because of this crazy desire want, I have created a SIMPLE little template to help make life easier. Go here to download it. 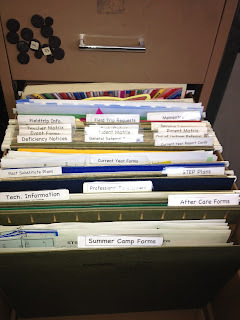 Despite me going to mostly digital in many aspects, I still have a file cabinet or two in my classroom. Filled with hanging folders galore. And I'll be honest - I can't stand the handwritten labels. Either my writing isn't perfectly centered or it's not straight - whatever it is, I'll find an issue with it. I like things neatly typed. So Bam! Here you go - a template for you to type in and have perfectly neat hanging file folder labels. Now just when I thought things couldn't get better, I came across this little gem from Tammy's Technology Tips for Teachers. She has a template for printing on STICKY NOTES! Oh my goodness. I can't wait to use these. Her template, which can be found here, is for printing on standard 3x3 sticky notes. Follow these easy steps to be a Sticky Note Printing Fanatic. 1. Using your Google Account open the file AND CREATE A COPY. 2. Print one copy of the template - save this to use over and over again as your master template. After you have printed your "master template" you can now go back in and edit up the file with whatever information you want on it. When you are done, take your template and place the sticky notes on the outlines. Place that paper into the printer and follow the same print instructions listed above. You should now have perfectly printed sticky notes. Be sure to check out Tammy's page for more sticky note templates, including Proofreading Checklists. Hopefully you'll find the resources above useful when you do head back into the classroom to start the beginning of the year organization.